This is the set of headphones you buy when you want to grab something that performs on-par with high-end headphones—but you don't want to spend for it. The Sony MDR-7506 are a tried and true favorite, perfect for school, home, and abroad. Though the Jaybird X4 is the better wireless earbuds, it's hard to knock the Tarah's. They offer most of what makes the X4 special, for less money. Unless the few subtle differences between the two are complete deal breakers for you, it's hard to recommend the X4 earbuds over the newer Tarah. If you’re looking for the best headphones on the market, it’s tough to get a straight answer. What works for some people doesn’t work for others, and few product categories are as diverse as headphones. In-ears, on-ears, over-ears—there’s just so much to choose from, and it’s hard to tell what’s right for you. Editor’s note: this list was updated on April 16th, 2019 to include updated pricing and links to relevant information. If you were searching for a new pair of headphones at any point in the last year or two, you probably saw that the Sony WH-1000X M2 was being thrown around as one of the best you can get (even by us). Now the company has updated these headphones and while there aren’t any drastic changes, the small differences add up to give the new WH-1000X M3 this top spot. Plus, everything that made the previous model great is still present here. You’ll still get one of the best, if not the best, active noise cancelling headphones around along with the passthrough feature that’s perfect for commuters. Just cupping your hand over the right ear cup will let you hear what’s going on around as the tiny microphones will passthrough audio from your environment instead of cancelling them out. You’ll also be able to skip between tracks and adjust volume thanks to the touch-sensitive ear cup on the outside. So what’s new about the WH-1000X M3? For one, the ear cups are slightly deeper this time around. That may not seem like a big deal, but it means you’ll be able to wear these more comfortably and even get a little more isolation to help you hear your music. There’s also the method of charging, which has been replaced with USB-C. We found it weird to begin with that the WH-1000X M2 charged via micro-USB because if you’re spending that much on a pair of headphones you probably aren’t going to upgrade them for a few years. It’s good to see Sony future-proof their headphones by embracing the newer port. As far as sound quality goes, these remain one of the best you can get in that aspect as well. They support Sony’s LDAC codec as well as Qualcomm’s aptX which allows for higher quality streaming. Even if LDAC isn’t perfect it’s still more than good enough for most people. The WH-1000X M3 has more of a consumer-friendly sound as well, with a slight emphasis on the mids and lows. It isn’t anywhere near the bass you’ll find on something like the Studio3 Wireless so if that’s what you’re looking for these aren’t for you. But just keep in mind these don’t have a completely neutral frequency response, which is fine for anyone that’s going to be commuting or using these for their ANC features on airplanes or buses. If you want a budget pick, the Plantronics Backbeat Pro 2 is a fantastic headset if you can find it. However, you’ll only save $100, as the pricetag is most often around $250. The fact of the matter is that good ANC is tough to get at a good price. Whether we like to admit it or not, very few of us can afford to shell out a grand for something as small as headphones. Given that the best headphones you can own are, well, the ones you can buy: it makes picking our best models a little easier. If you don’t mind spending a little more cash for the best headphones, the Monoprice Monolith M1060 puts the bang in your buck. Though at $270 it’s not cheap, and these planar magnetic headphones perform on-par with other models that are significantly more expensive. As Chris Thomas put it in the full review it’s “value taken to its logical extreme.” It shouldn’t come as a surprise because of how good Monoprice is at making its products inexpensive, but it is. The Monolith doesn’t come cheap; however, the price compensates for the fact that you don’t need to use an amp. These have a good amount of low-end present, but the main pro to these is just how clear everything sounds. Little to no distortion is apparent regardless of what you’re listening to, and there aren’t really any objective tweaks that would make these sound better than they do. If you’re not looking to spend upwards of $500, Monoprice has done it again with the Monolith M1060 headphones. True wireless earphones took the market by storm after being dominated by the Apple AirPods for so long. Now: there’s plenty of options, even some for under $100 if you don’t have a lot of cash to spend. They come in all shapes and sizes, even some that conform to your head. However, the best on the market right now is still the Jabra Elite 65t. These buds have one of the best batteries of any true wireless earbuds we’ve tested and sound pretty decent too. We aren’t going to pretend that they’ll be best for everyone, but they’ll be very close for most people. True wireless earbuds are a bit of a challenge to get right, and Jabra has a good a history of getting it right when it comes to earbuds in general. If you’re hoping to spend less than $100, definitely give the JLab JBuds Air. At only $49, these do have some tradeoffs, but overall impressed our reviewers. But at that price, it’s hard to complain when something works as well as the JBuds Air. It may seem cliche to point out, but headphones that have been around for over 30 years are able to do it because they have something to offer. If you’re on a budget and need a set of high-quality closed-back headphones for under $100: people have been picking the Sony MDR-7506 for decades. That’s not because these are super bassy, or that they’re flashy—if anything they’re the opposite of both. These headphones have stuck around so long because aspiring musicians, TV crews, and students all have been using it as a dependable studio monitor. It has a flat frequency response, which may not sound the best to some, but it’s much clearer and far easier to tweak to your liking. Sure, these are a set of wired cans with a rather cumbersome cable. But if you’re listening at home or working at the coffee shop: these are the headphones you want. If you’re looking to keep things discreet while you’re out and about, then maybe a solid pair of wireless earbuds are for you. And if that’s the case, then you might want to go with the Jaybird Tarah earbuds. Even though the X4 earbuds just came out, the Jaybird Tarah offers 80 percent of the features for $30 less, making it a better bang for your buck pick. The main feature of the X4 was the addition of an IPX7 rating, and the Tarah boasts the same certification. There are a few minor differences between the X4 earbuds and the Tarah, but we don’t think they’re enough to warrant spending the extra $30 to pick up the X4. For one, the Tarah provides six hours of battery life while the X4 provides eight. While the extra two hours might be useful for some people, six hours is still enough for the average workout. Then there’s also the ear tip options. The X4 includes multiple ear tips and wingtips while the Tarah only includes three all-in-one ear tips. Considering you’re saving some cash with the Jaybird Tarah, it seems worth it in the long run. Obviously, these headphones comprise a very small part of the market, and we encourage you to check out our other best lists. If you need a set of noise-cancelling headphones, truly wireless earbuds, workout earbuds, or even need to limit your budget to $100: we’ve got you covered. Nobody’s needs are truly the same, so if you know what you’re looking for, there are countless options out there. AKG N60 NC Wireless: One of the better on-ear headphones of all time, this model recently became outdated. This list has a few wired options if you want great sound, but we also have a few wireless options if you prefer convenience. If you opt for a Bluetooth pair, there are a few things you should know. First and foremost, the rumors you’ve heard are true. Bluetooth just can’t party with wired headphones just yet, at least as it pertains to sound quality. Even some of the best codecs available aren’t as great as they seem at first glance. AAC is basically only good if you’re on an iOS device which means Android users should probably stick to aptX, and LDAC isn’t truly hi-res. The good news is that you most likely can’t hear any of the details in the data that’s being dropped, but it’s still not a great selling point. Of course, if you do think that you have superhuman hearing feel free to test yourself with our simple hearing test. We mentioned codecs in the last section, but what exactly are they? If Bluetooth is the technology that enables two devices to communicate with each other, then codecs can be thought of as the language that they speak. When two devices speak the speak the same language, they can communicate faster and send more data between each other which results in better sound quality. Some of the best codecs have high transfer rates if both devices are compatible, and if they aren’t then everything just reverts down to the basic codec called SBC. Unfortunately, codecs can be a bit finicky and as we mentioned before don’t always work the way they’re intended to which is why wired headphones usually sound better. Though it is worth mentioning that Qualcomm has a new codec coming called aptX adaptive that seems promising, but we’ll have to wait to test it ourselves before we get our hopes up. For the past two years, Sony headphones have been on our top pick. Both the WH-1000X M2 and the newer WH-1000X M3 have good sound and great active noise cancelling. If you were wondering how active noise cancellation works, don’t worry you’re not alone. There’s a lot that goes into it and some companies like Bose and Sony have their own ways of achieving it technologically, but it all comes down to basic physics. Active noise cancelling is actually something called destructive interference. If you take one wave with an amplitude of +1 and combine it with another wave that has an amplitude of -1, you’re left with zero. 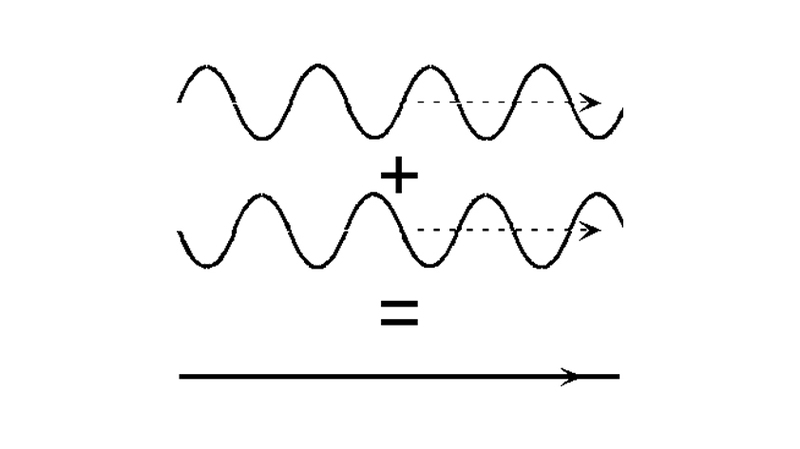 Constructive and Destructive Interference Sound waves of equal amplitude, offset at 1/2 wavelengths result in compression waves with an amplitude of 0—canceling out the sound. Active noise cancelling headphones take advantage of this by using tiny microphones to hear what sounds are around you and then creating an opposite sound wave to cancel that before it reaches your ears. Of course, this isn’t perfect and works better for long, droning sounds then sudden, screeching ones. So don’t expect ANC headphones to block out that crying baby on your next flight. But when you combine noise cancelling technology with good isolation, you can get pretty close to completely blocking the outside world. Various Comply memory foam ear tips. From left: comfort, sound isolation, and true wireless. This is harder to achieve when it comes to earbuds, as they don’t completely cover your ear. So instead, a solid pair of memory foam ear tips might be worth looking into as they do a better job at isolating sound than the silicone ones that come with most ‘buds. If you’d seen this list before, you’ll probably notice that it’s completely different than it was in 2017. Now it’s a perpetually-updated piece. Gone is the Sennheiser HD 800, and the rest of the exorbitantly expensive headphones. That’s because we realized that what’s “best” objectively, isn’t what’s “best” for everyone… so our selections needed a bit of tweaking. Just like it is with power tools and kitchen utensils, different headphones are built for different purposes. Using the right tool for the job is important, and ensures that you get the best experience possible. You wouldn’t use a chainsaw to cut butter any more than you’d use a set of AKG K7XX on an airplane. In that light, we took extra time to take into account how most people actually use headphones. What makes a good pair of gym headphones? What makes a good pair of true wireless earbuds? What’s the good in having a best list that doesn’t help most people buy headphones they like? While we took the time to highlight some Bluetooth headphones, active noise cancelers, and open-backed cans—be sure to read the descriptions to see if they’re right for you. Many people want a set of headphones that will do everything, but those models are few and far between. That’s why our winner isn’t a set of headphones you’d see on other outlets’ top 10. It’s more about what people actually want than what’s objectively the best performing set out there. What's the good in having a best list that doesn't help most people buy headphones they like? With that being said, all of our picks were used by at least one team member, and all of these picks sound fantastic. Because our ad-free business model relies on you enjoying your headphones without returning them, this list represents what we earnestly feel is the most deserving of your money. We knew that we wanted to create a list of financially attainable headphones that meet realistic use cases, rather a drool-inducing, unrealistic list for your average consumer. After brainstorming, each of us completed a spreadsheet with weighted pros and cons for a given product. Chris, our editor, then created a final model that analyzed each of our scores and posited applicable rankings. During our testing for the previous best lists, Adam, Chris, and Lily clocked in hundreds of hours with the listed models. From quantifying the effectiveness of the Sony WH-1000X M2’s ANC unit by placing a mic in a dummy head, to sweating profusely with the Jaybird X4, we made sure to push each pair of headphones appropriately. Not only that, but we also gathered information from primary, secondary and tertiary sources such as manufacturers’ websites, alternative tech review sites and user-based reviews, respectively. We respect that our best lists may not always perfectly align with your experiences, but they're our earnest attempt to get the best-suited product on your wish list. While many might be upset that we chose more consumer-geared models than the stunning halo products of audiophile lore: it’s important to us that our readers aren’t dissatisfied with their headphones. To that end, we find that the ultra-expensive headphones are generally a poor fit for most, often leaving your average consumer frustrated and feeling like they wasted a lot of money. Those with a more developed idea of what kind of headphones they want should also check out our other best lists. Not every model listed here will meet all of your needs. Chris is always on the job, even while sleeping. 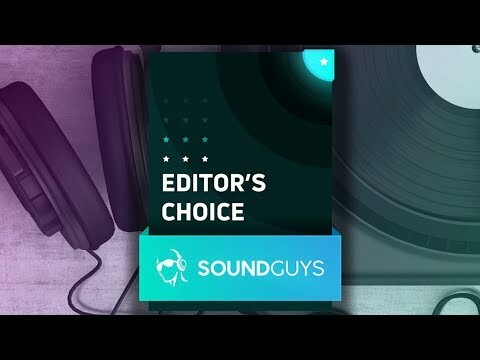 When it comes to audio, the SoundGuys team has years of experience reviewing products between them (and even more listening to them). Chris spent years reviewing audio products, among other things, at publications such as USA Today and Reviewed.com, Lily clocked in countless hours at radio stations and reviewing products independently before joining our team, and Adam has been listening to headphones and speakers for nearly four years as part of SoundGuys. So needless to say, if a product makes best headphones list it’s because we were genuinely impressed by them and had some hands-on experience with them (or at the very least put in hours of research). Didn’t find what you were looking for? You may like our other best lists.